is it a normal book like all the books about success and good life ? is it worthy ? Lyn Mettler Very worthy! Life changing if you ask me. A simplified version of the 80/20 rule. Should I buy the book in physical form or get the audiobook? Is it one I'll want to highlight and keep flipping back to, or will listening to the book do the trick? "The One Thing" is the first resource I've come across with an answer that works. The book teaches you to build a big vision, then zoom in to a narrow focus that kills the most birds with one stone. This may not seem impressive, but the way it's presented helps you TRULY understand. It guides you around landmines like productivity lies and productivity killers. Most importantly, it gives you a plan that's easy to understand and follow. The genius is in the simplicity. Please don't let a craving for sophistication get in the way of forward progress toward awesome goals! Remember: people in the ivory tower tend to stay put. This book has earned all fives stars from my rating, and that's saying a lot. I'm a hard sell. Half way through 2013, it's by far the front runner for my best book of the year. 1) There's controversy over reviews showing up before the release date of the book, leading to accusations that it's just a marketing tactic. Whether it's true or not, ignore it. The results are real. 2) Some reviews say it's nothing groundbreaking, that it's good for the beginner only, and so on. They miss the point. Give this book a chance. It passes my b.s. filter. You'll be re-reading it and taking notes! This book is really deep. While the title is easily marketable I felt the insight was really profound and one of those books I'll definitely need to reference throughout my journey. - Achievers always w This book is really deep. While the title is easily marketable I felt the insight was really profound and one of those books I'll definitely need to reference throughout my journey. - After you have picked your one thing, your number one priority should be protecting the time you use to work with your ONE thing. - You should reserve four hours of non-interrupted time from your day only to work with your ONE thing. The ONE Thing you should do today feeds into your ONE Thing this week, then this month… and so on. These small steps create the path to your ONE big goal. “One thing” is in reference to an idea. Everyone should pick one thing and focus completely to the one thing only. Michael Phelps selected swimming and practiced six hours every day. And he became the most successful swimmer and most decorated Olympian of all time with 22 medals. Steve Jobs reduced number of Apples products when he rejoined Apple and rest is history we all know. The book's big secret: concentrate on ONE thing at a time. How does it take 140 pages to get ONE Firm Grasp of ONE concept? State it ONE Hundred different ways. I read THE ONE THING and it is a well-crafted book. I didn’t need to use my yellow highlighter on it because the authors (or some graphic artist) underlined passages throughout on the text—as though the reader did it. The text is well-executed with summary bullet points at the end of each chapter and graphically pleasing with pull quotations. Here’s my reason for giving this book two stars. The authors get commended for their execution but not their content. The contents are little but worn phras I read THE ONE THING and it is a well-crafted book. I didn’t need to use my yellow highlighter on it because the authors (or some graphic artist) underlined passages throughout on the text—as though the reader did it. The text is well-executed with summary bullet points at the end of each chapter and graphically pleasing with pull quotations. Here’s my reason for giving this book two stars. The authors get commended for their execution but not their content. The contents are little but worn phrases and clichés that anyone who has read a business book in the last ten years has probably already heard. I found little new. You can skip this one in my view. This and more reviews, interviews etc on Dark Matter Zine, an online magazine. http://www.darkmatterzine.com. This review was written by James Kennedy for Dark Matter Zine. Self-help is fantasy for some people and both genres serve similar purposes for the reader. Both genres stimulate our imaginations and allow us to step into the shoes of someone much more powerful than ourselves. Both genres stimulate creativity and encourage lateral thinking, and both genres are capable of conjuring up idylli This and more reviews, interviews etc on Dark Matter Zine, an online magazine. http://www.darkmatterzine.com. This review was written by James Kennedy for Dark Matter Zine. Self-help is fantasy for some people and both genres serve similar purposes for the reader. Both genres stimulate our imaginations and allow us to step into the shoes of someone much more powerful than ourselves. Both genres stimulate creativity and encourage lateral thinking, and both genres are capable of conjuring up idyllic (or dystopian) futures from the author’s imagination that can stimulate us (or scare us). The only major difference between the two is that self-help is written literally like an instruction manual whereas the messages in fantasy novels are hidden behind multiple layers of complexity worthy of extended literary analysis. Admittedly, I usually don’t like self-help books. At worst, they can seem preachy and idiosyncratic. They overuse bold, italics and underlining, which makes the insulting assumption that, like those office workers I mentioned previously, I am incapable of focusing on extended prose. Only a tiny minority of self-help books persist with long-term fame (Men are from Mars, Women are from Venus, for example), while the vast majority get thrown out along with each passing fad. That said, I do like some self-help books. It was an excellent self-help book that encouraged me to start reading back in 2011. I bought David Buzan’s Speed Reading from a market stall and used it (along with a blog) as motivation to read hundreds of books in the two years that followed. I lapped it up because I needed it. By applying the same logic, I conclude that the target audience of The One Thing is a sedentary desk-worker overwhelmed with boring, repetitive filing tasks and whose life has no sense of fulfillment. I didn’t gain anything from this book because thankfully, I’m not one of those people. I want you to read this review with an image of the book’s target readers in mind. The One Thing is set in a fantasy world where small-minded, burned-out office workers busy themselves with mundane tasks like organising emails into folders or rearranging staples. People’s attention spans have been crushed, creativity has been killed, and people only skim-read because they have no time to pause and reflect. People are cogs in corporate machines and have forgotten how to think for themselves. Their universe is no wider than an office cubicle, and their only ‘window’ is a glaring computer screen. The book’s biggest downfall is that it lacks ethos, or credibility. There are no historical references (in fact, there are no references at all) and the “exemplary people” mentioned in this book are all either modern-day corporations or billionaires. Predictably, the book mentions how Apple and Bill Gates both succeeded because they focused on their “One Thing”, but the logic of this link is tenuous at best. Where the ‘good’ self-help books make ample references to ancient wisdom and modern-day science and give dozens of inspiring anecdotes and statistics, The One Thing fails to deliver on all those fronts. I have no reason to take anything in The One Thing seriously. There’s no foreword. There’s no preface. I therefore start reading chapter one without knowing the authors, without knowing why I should read this book and without knowing what I’m going to gain from it. This is a failing of The One Thing, not of the self-help genre in general. Tony Buzan, to name just one example, puts huge emphasis on the successes of his program before we even start reading. He peppers his writing with inspiring stories that are interesting to share with friends. The One Thing’s authors, however, have cut out all the useful parts (including references, which would have made the book somewhat credible) to make room for some more “fat” in the middle chapters. As a result, The One Thing is a book of zero importance. I ask, “How much money do you want to earn?” I get all kinds of answers, but usually the number is quite high. When I ask, “How did you pick this number?” I frequently get the familiar answer: “Don’t know”. I then ask, “Can you tell me your definition of a financially wealthy person?” Invariably, I get numbers that start at a million dollars and go up from there. When I ask how they arrived at this, they often say, “It sounds like a lot.” My response is, “It is, and it isn’t. It all depends on what you’d do with it”. Most of the book is written in this nonsensical language. It hasn’t even been proofread properly and grammatical errors are surprisingly regular. Lacks humour throughout. I wish it didn’t take itself so seriously! The One Thing doesn’t stand up to the competition. It tells you how to improve your life, but doesn’t do nearly as well as Buddhist books like Happiness or Tiny Buddha, which are also classed as ‘self-help’. It’s so bland that it’s not quite bad enough to be cleverly satirical (like Fight Club); and it lacks the depth of science and history that Malcolm Gladwell’s Outliers brought to the table in 2008. As far as “how to improve your life” goes, it’s nothing compared with Lin Yutang’s The Importance of Living, who wrote at length in beautiful language about the position and placement of objects on your desk, and how to clear your mind before working. Lin Yutang even told us at what times of day we are most productive. What can I do to increase sales? What can I do to double sales? What can I do to double sales in six months? What can I do to increase my sales by 5 per cent this year? My criticisms aren’t all subjective, either. I also found this book internally-contradictory in places. There’s a whole chapter on “don’t be self-disciplined” (which is controversial purely for its own sake). Just ten pages later, the author says we should all be self-disciplined again, and spends three pages describing an experiment that suggested toddlers with more willpower would grow up to be happier, smarter, richer, healthier adults. So should we be self-disciplined or not? Confusing. Here’s another contradiction: on page 73, he writes, underlined, “A balanced life is a myth”. We then wade through nine pages of jargon and idiosyncratic diagrams before finding the author’s proposed alternative on page 82: “Counterbalance your personal life bucket” (sic). This is another contradiction at worst, or just jargon-juggling at best. He’s certainly not giving useful advice. In conclusion, The One Thing is an idiosyncratic, pointlessly antagonistic and self-contradictory book written for people with no time (or for search engines!). It has tiny chapters, is highly visual, and makes heavy use of capitals, italics and underlining. Actually, this book is so repetitive and confusing that I wouldn’t be surprised to learn that it’s been written for search engines rather than people. This might just be the world’s first “search-engine optimised” book! Such poor-quality conveyance of such poor-quality ideas only deserves to be condensed into a one-page article and posted onto LinkedIn so we can all skim past it. It should never have been made into a book. As a metaphor, this book is like a non-dry hand wash. I walk past it, I press it and I use it just because it’s there. It feels cold and flavourless and drips off my skin rather than sinking in. Even though it has a short-lived positive impact, I will never feel any long term benefits from having picked it up. I recently finishing reading the book, “The ONE Thing” by Gary Keller and Jay Papasan. As part of my book group I hosted a live call with Jay Papasan and members of the group last week. This book was very insightful. I judge books in this genre based on asking myself, “How much, if at all, will this book change my daily behavior?” Based on that criteria I would have to rank this book very high as it will change my behavior. The premise of The ONE Thing is that at any given point in time, there is I recently finishing reading the book, “The ONE Thing” by Gary Keller and Jay Papasan. As part of my book group I hosted a live call with Jay Papasan and members of the group last week. This book was very insightful. I judge books in this genre based on asking myself, “How much, if at all, will this book change my daily behavior?” Based on that criteria I would have to rank this book very high as it will change my behavior. The premise of The ONE Thing is that at any given point in time, there is only one thing that you should focus on doing. Your one thing is the thing that moves you the closest or the fastest toward your goal. Around that theme the authors talk about the major lies that exist in the “productivity” community. These include the idea of multitasking, being disciplined, a balanced life, and others. The core of the book focuses around what the authors call the “Focusing Question,” which is, What is the One thing I can do such that by doing it everything else will be easier or unnecessary? The books also talks about 3 commitments to productivity, 4 Thieves of productivity and other helpful insights around time management and time blocking. I loved this book. Its concept is obviously simple and yet very important. Its easy to apply immediately and it can product dramatic results fast. One of my favorite ideas from the book is the idea that we must time block our one thing. That means putting it on our schedule and protecting that time. If we lose some of that time (which is inevitable) from distractions or emergencies we must replace it. Another great insight I took from the book is the idea of aligning the “right now moment” with our long term goals and plans. If my goal is to help people become greater producers then I need to ask, “What is the ONE thing I can do in the next five years to help people become greater producers?” Then ask, what is the one thing I can do this year to achieve my five year goal to help people become greater producers?” Then ask, what is the one thing I can do this month…. and then this week, and then right now; to help me achieve that goal? The questions are stacked and this of course implies that we all have a lot of ONE things but at any given time or moment we really do only have one thing. I also love the chapter about will power. It reminded me of the sections about will power from “The Power of Habit” that I read last year and it was a good reminder about how critical it is to do the most important things when you have a full reserve of will power and to build habits out of the important things that currently require a lot of will power to accomplish. 1- للتمكن من إنجاز أي مشروع سواء كان مهنيا أو شخصيا, يوجد دائما شيء واحد في فترة معينة من عمر المشروع يمكنك التركيز عليه بحيث إذا أُنجِز, كل شيء آخر يصبح من السهل التعامل معه. و لإنجاز هذا الشيء الوحيد يجب التخصيص له ساعات يوميا على الأقل من غير أي مقاطعة. 2 - لكي يمكن إكتساب أي عادة إيجابية أو التخلّص من عادة سلبية يلم في المعدل 66 يوما متواصلا من غير انقطاع, و لكي يرفع الشخص من مردوديته من الأفضل له أن يواضب على الأعمال المفيدة باستمرار لكي تصبح عادات, مع التأكيد على التركيز على عادة واحدة في الوقت. الكتاب يُنصح به لكل من له مشكل في ترتيب أولوياته و التوفيق بين الحياة العملية و الشخصية. (3) Not all things matter equally. Find those that matter the most. (4) You only have so much time and energy. When you spread yourself out, you end up being thin. (5) No one is self made. No one succeeds alone. No one. There are many people, wishes and hundreds of situations that must fall in place for you to succeed. (6) The line between passion and skill is often blurred. Passion leads to disproprotionate practise leding to higher skills leading to better results, which feeds passion further. This chain reaction spirals to extraordinary results. (7) Things that matter most must never be at the mercy of things that dont. verything does not matter equally. Prioritise. (8) Things that are most important do not often scream the loudest. (9) Being busy is not enough. So are the ants. 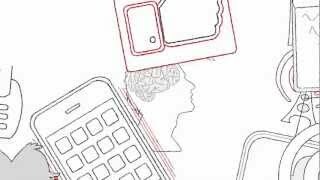 (10) Multitasking is a myth. A human mind can focus on one task a time. Only involuntary tasks or automated tasks can happen in parallel. (11) Task switching costs us valuable time to reach the same productivity level as we were, before we left the task. (12) Select the right task, wotk consistently on it, make it a habit, and then you are liberated from having to monitor it ever. It is automated in your brain. (13) Will power is not available on will. It keeps getting diminished through the day as you use it. (14) Do your toughest task in the morning when your will power is at its peak. (15) A Balanced life is a myth. The reason why we should not pursue balance is that magic happens, not in the middle, but in the extremes. (16) To achieve extraordinary results, you must chose what matters mostand give it all the time it demands. This requires getting extremely out of balance in relation to other work issues. You may infrequently counterbalance to address them. (17) No one knows their ultimate ceiling for achievemnt. Giving it a shot is the only way to get an idea. (18) On the journey to achieving big, you get bigger. Achieving big requires growth, and by the time you arrive, you are big too ! (19) People who are crazy enough to think that they can change the world are the only ones who do. (24) Focus is about deciding what things you are not going to do. (25) When you strive for greatness, clutter is bound to show up because of your extremen focus on one thing. If a cluttered desk is an indicator of a cluttered mind, what, then represents an empty desk? (26) It is only when you can visualise a bigger life, can you hope of living one. (27) Whenever you look back at your life, the things that might cause you the biggest regrets are the things that you did not do. Your actions may be stupid, but it is your inaction that will cause you the regret. Honestly, I hated to love this book. But, love it I did. Another 250 page business book about a concept that can be summed up in 1 sentence? Yes. Another one. Similar to Work the System, the book is short on actionable advice. Why? You don’t need it. All you need to do is figure out your One Big Thing and HA Honestly, I hated to love this book. But, love it I did. Similar to Work the System, the book is short on actionable advice. Why? You don’t need it. All you need to do is figure out your One Big Thing and HAMMER ON IT. In a world with an ever increasing number of options and distractions, the scarcity is attention and focus and the ones that will reap the rewards are the ones that acknowledge and build their lives not around novelty and breadth, but meaning and depth. I disliked the book, it's a meshed up version other self help books, like "How to win friends and influence people" from Dale Carnegie; "Think and grow rich" from Napoleon Hill and others alike. It's a boring read, you get the message 20 pages into the book, and the rest of the book is repetitive. The reason I give it 2 starts is that at least the main message is interesting, focus in accomplish one thing at a time, forget everything else. That's it, I just gave you the whole book and saved you so I disliked the book, it's a meshed up version other self help books, like "How to win friends and influence people" from Dale Carnegie; "Think and grow rich" from Napoleon Hill and others alike. The reason I give it 2 starts is that at least the main message is interesting, focus in accomplish one thing at a time, forget everything else. That's it, I just gave you the whole book and saved you some money. Gary Keller argues that you must always focus on one and only one thing, regarding the goal you have that by accomplishing it, next steps towards the same goal becomes easier. I think this book has a tremendous potential to increase one's productivity and effectiveness if the given pieces of advice are applied. I really liked the book and would definitely recommend it to those who seek success. Often, motivational books take a few key points, which could be summarized on an index card, and with varying degrees of agony stretch them to fill a book. "The One Thing" could've fallen into this trap with a significant thud, since it basically is about ... well ... one thing. In a word: Focus. That said, let me give Gary Keller some credit for taking one simple concept, and doing a consistently good job elaborating on it and keeping his book relevant and interesting all the way through. The co Often, motivational books take a few key points, which could be summarized on an index card, and with varying degrees of agony stretch them to fill a book. "The One Thing" could've fallen into this trap with a significant thud, since it basically is about ... well ... one thing. In a word: Focus. That said, let me give Gary Keller some credit for taking one simple concept, and doing a consistently good job elaborating on it and keeping his book relevant and interesting all the way through. The concept: in every area of your life, find the most important thing that you need to focus on for maximum results, in each area, and then use time-blocking and other methods to allow yourself to concentrate exclusively on your "one thing" until it's accomplished. He augments this one concept with lots of actionable tips that are very practical, and easy to understand and implement. If you'd like to find ideas and pointers for prioritizing the things in life that matter to you the most, and getting them done, this is a book from which you will certainly benefit. The key, of course, for any of us, in reading motivational books, is to then put the ideas into action -- by actually doing the "one thing"! A worthwhile read. Who is Jay Papsan & Gary Keller? Jay Papasan is the former editor at HarperCollins Publishers and is the Vice President of Publishing at Keller Williams. A entertaining and engaging book that gives you the aha-moments where you really sit down and want to reflect on the pieces of advice given to you. I liked the book very much and I would recommend it to others. کتابی با موضوع تغییر سبک زندگی و حرکت به سمت موفقیت. کتاب خیلی خوبی بود. کتاب عوامل تاثیرگذار بر روی موفقیت و همچنین موانع موفقیت معرفی می کنه و برای رد شدن از این موانع راه حل هایی رو ارائه می کنه. کتاب نکته های خیلی خوبی برای قدم گذاشتن در مسیر موفقیت معرفی می کنه. نکته های ظریفی که خیلی از ما به راحتی و هر روز از کنار اونها رد میشیم. متن خیلی خوب آدم به فکر فرو می بره. باعث میشه به خیلی از کارها و عادت هایی که داریم فکر کنیم. در جایی از کتاب نویسنده زندگی رو به دومینو تشبیه می کنه یعنی هر کار کتابی با موضوع تغییر سبک زندگی و حرکت به سمت موفقیت. کتاب خیلی خوبی بود. کتاب عوامل تاثیرگذار بر روی موفقیت و همچنین موانع موفقیت معرفی می کنه و برای رد شدن از این موانع راه حل هایی رو ارائه می کنه. کتاب نکته های خیلی خوبی برای قدم گذاشتن در مسیر موفقیت معرفی می کنه. نکته های ظریفی که خیلی از ما به راحتی و هر روز از کنار اونها رد میشیم. متن خیلی خوب آدم به فکر فرو می بره. باعث میشه به خیلی از کارها و عادت هایی که داریم فکر کنیم. در جایی از کتاب نویسنده زندگی رو به دومینو تشبیه می کنه یعنی هر کاری که امروز داریم انجام میدیم باعث اتفاق افتادن کارها و اتفاقات بعدی میشه. انجام دادن یه اشتباه باعث اشتباه بعدی میشه، موفقیت فعلی باعث موفقیت بعدی میشه، دروغ، دروغ بعدی رو میاره و ... . به همین خاطر نویسنده توصیه می کنه که به کارهایی که هر روز انجام میدیم بیشتر فکر کنیم و تمام کارها رو به روزها و هفته ها و ماه ها و سالها بعد متصل کنیم. توصیه بعدی نویسنده این بود که باید بزرگ فکر کرد و بزرگ هدفگذاری کرد اما برای رسیدن به این هدف های بزرگ باید از کارهای ساده شروع کرد. اهداف شما نیز باید بزرگ و مشخص باشند. بزرگ به این دلیل که توانایی های شما را به چالش بکشند و مشخص به این دلیل که قابل سنجش باشند.
" تنها با بزرگی زندگی کردن به شما این اجازه را می دهد که زندگی حقیقی را درک کنید و به صورت بالفعل کار نمایید." توصیه بعدی نویسنده اهمیت برنامه ریزی و برنامه ریزی داشتن بود. چند راه حل هم برای این مورد (مشکل) معرفی می کنه. “When our daily actions fulfill a bigger purpose, the most powerful and enduring happiness can happen”.
" زمانی که فعالیت های روزانه ما با یک هدف بزرگ صورت می گیرد، شادی های دنباله دار و پر قدرتی می توانند رخ دهند." I find it hard on how to rate this book. I go back and forth on if I should rate it 2 or 4 stars, so I settled in the middle with 3. It could be worth 4 stars, because it is a great anthology of what motivates us and keeps going towards our ONE thing. It could be worth 2 stars, because it is really redundant and doesn't really show any great resources or research behind each figure. A great book on time management and productivity. The main purpose of the book is to tell that people can not effectively perform several things at the same time. By nature, people are not multitasking. They can only quickly switch from one task to another, while consuming a lot of time and effort to refocus. Although outwardly it looks like multitasking, it's just a false idea. If you want to achieve really high results, focus only on one task, in the most important case, spending 20% of your e A great book on time management and productivity. The main purpose of the book is to tell that people can not effectively perform several things at the same time. By nature, people are not multitasking. They can only quickly switch from one task to another, while consuming a lot of time and effort to refocus. Although outwardly it looks like multitasking, it's just a false idea. If you want to achieve really high results, focus only on one task, in the most important case, spending 20% ​​of your energy to achieve 80% of the results. Also, set yourself up really high tasks that will be complex and learn to say "NO" to tasks that do not fit your "the one thing." The book has a lot of interesting quotations, stories and examples. After reading the book, I made over 40 underlined markers. This book will be a vivid example in your home library. Bad writing. Don't waste your time. The author takes a superficial (deluded, even) take in his case studies to make his point about the "One Thing". He uses Apple, Microsoft and Google for companies that do one thing and does it very well. For anyone who knows the history of these companies knows this is simplistic or outright misleading. There is repeated use of case studies in which the author is obviously ignorant of the industry and the relevant market and technological forces at play These Bad writing. Don't waste your time. The author takes a superficial (deluded, even) take in his case studies to make his point about the "One Thing". He uses Apple, Microsoft and Google for companies that do one thing and does it very well. For anyone who knows the history of these companies knows this is simplistic or outright misleading. There is repeated use of case studies in which the author is obviously ignorant of the industry and the relevant market and technological forces at play These further compound the author's lack of credibility and makes me wonder how this book was so highly rated in the Amazon and Audible Uk stores for business books. The author's "One Thing" is a simplistic exaggeration of focus but there are many good books on focus and getting organized. They also provide more useful advice on how to get focused rather than exhortations to just do so. Books like Superhuman by Habit also puts focus in perspective as you will need to surround your focus with an ongoing investment in the future and developing yourself as a person/enterpreneur/researcher/etc... There is no point in focus when you are just delivering a lot of something that is bad however defined unprofitable/unsustainable/etc. Very powerful book on the topic of productivity and setting yourself up for big goals. My favorite part of "The One Thing" was goal setting, the way Gary Keller is breaking down big goals into small chunks is just genius. This books is a must read for anyone who feels overwhelmed by too many things to do on their daily schedule. I didn’t really find anything new or enlightening in this book. It restates information from other books, so if you’re widely read, you’ll not likely find it very interesting either. Every time I started reading my hard copy, I’d become frustrated at the lack of new info. At about one third through, I ended up listening to the rest on Audible, so I could listen at 1.5 or 2x speed, just to get through it quickly and move on. It was kind of a drag. It isn’t necessarily a bad book but perhaps better I didn’t really find anything new or enlightening in this book. It restates information from other books, so if you’re widely read, you’ll not likely find it very interesting either. Quite often the writer repeats others and doesn't own up to it. His repetition of the books title quickly grows annoying and I feel a lack of 'density' throughout the book. Even though the writing is rather boring and he presents nothing new, the book inspired me think about priorities and choices in my own life. This made me award an extra star. You know those rare and special times when you pick up a book that changes your life? This is one of those books. What a fantastic book! I wish I had this book entering University or my first job. I highly recommend it to everyone. I'd give it more stars if I could. 10/5 stars! I am re-reading. Actually listening over Audible. For me, this feels like good advice for tackling the feeling of being overwhelmed. 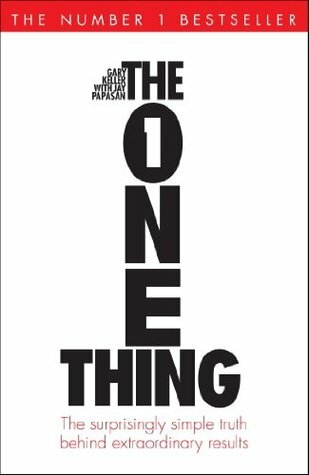 Quite interesting book about how we need to set aside time to focus on the one most important thing for our success: "The One Thing". The author challenges the following six "myths" about work. The book is ok, but I found that a lot of it's content is rehashed material from other books on similar topics. The books is also heavy on Quite interesting book about how we need to set aside time to focus on the one most important thing for our success: "The One Thing". The book is ok, but I found that a lot of it's content is rehashed material from other books on similar topics. The books is also heavy on the usual pop psychology/behavioural economics stuff such as the marshmallow test etc. If you (like me) read a lot of non-fiction books, chances are that you've already read a lot of this stuff a hundred times elsewhere. Identify the one thing that, if you spent a lot of your time on energy on it, has the biggest potential when it comes to having a positive impact on your work and career. Though it's language is the language of cheap self-help books, but the content is of best qualities. Those who know me, know how skeptical I am. But this book satisfied my skepticism. The author has done his research. And has done it well. He used major psychology studies and used them just right. His conclusion of these studies has been perfectly right. Even better than some psychology professors at major universities! He offers really great minimalistic tools and methods f This book was amazing! He offers really great minimalistic tools and methods for practicing the lessons of the book. My major concern was that he may fall on the extreme of over-specialization and 1 dimensional living. But as I progressed through the book, he delicately covered other dimensions of life. Even though I read many iterations of this book, the final edition was a powerful read. If you are like me and lack focus in this chaotic world and long for a break from the distractions at work and home, this book is a lifesaver. - What’s the ONE Thing I can do such that by doing it everything else will be easier or unnecessary? - Learning to say no can and will liberate you. - No one knows their ultimate ceiling for achievement, so worrying about it is a waste of time. - Each one is a foundation for the next: spiritual life > physical health > personal life > key relationships > job > business > financial. - Mastery is a path you go down instead of a destination you arrive at. - When you chose to master the right thing, then pursuing mastery of it will make everything else you do either easier or no longer necessary. - We overthink, overplan, and overanalyze our careers, our businesses, and our lives; that long hours are neither virtuous nor healthy; and that we usually succeed in spite of most of what we do, not because of it. - Long hours spent checking off a to-do list and ending the day with a full trash can and a clean desk are not virtuous and have nothing to do with success. Instead of a to-do list, you need a success list—a list that is purposefully created around extraordinary results. - A life worth living might be measured in many ways, but the one way that stands above all others is living a life of no regrets. - Life is too short to pile up woulda, coulda, shouldas. - Extraordinarily successful companies always have one product or service they’re most known for or that makes them the most money. - When you try to do too much at once, you can end up doing nothing well. Figure out what matters most in the moment and give it your undivided attention. - Prime condition of success: Concentrate your energy, thought and capital exclusively upon the business in which you are engaged. - Buying into too many other things muddle our thinking, misguide our actions, and sidetrack our success. - Multitasking takes a toll. At home or at work, distractions lead to poor choices, painful mistakes, and unnecessary stress. - “Don’t put all your eggs in one basket” is all wrong. “Put all your eggs in one basket, and then watch that basket.” It is easy to watch and carry the one basket. It is trying to carry too many baskets that breaks most eggs in this country. - Sticking with something long enough for success to show up is a fundamental requirement for achieving extra-ordinary results. - When you want the absolute best chance to succeed at anything you want, your approach should always be the same. Go small. - Going small is ignoring all the things you could do and doing what you should do. It’s recognizing that not all things matter equally and finding the things that matter most. - Getting extraordinary results is all about creating a domino effect in your life. - Life doesn’t line everything up for us and say, “Here’s where you should start.” So every day line up your priorities, find the lead domino, and whack away at it until it falls. - Extraordinary success is sequential. What starts out linear becomes geometric. You do the right thing and then you do the next right thing. Over time it adds up, and the geometric potential of success is unleashed. - Passion for something leads to disproportionate time practicing or working at it. That time spent eventually translates to skill, and when skill improves, results improve. Better results generally lead to more enjoyment, and more passion and more time is invested. It can be a virtuous cycle all the way to extraordinary results. - Good decisions depend on more than just wisdom and common sense. - Success is actually a short race—a sprint fueled by discipline just long enough for habit to kick in and take over. - You don’t need to be a disciplined. Success is about doing the right thing, not about doing everything right. - Harness the power of selected discipline to build the right habit, and extraordinary results will find you. - Willpower can be recharged with downtime. - You make poor choices after doing a cognitively difficult task. - The more we use our mind, the less minding power we have. Willpower is like a fast-twitch muscle that gets tired and needs rest. It’s incredibly powerful, but it has no endurance. - While decisions tap our willpower, the food we eat is also a key player in our level of willpower. - Prefer to eat foods that elevate blood sugar evenly over long periods, like complex carbohydrates and proteins. - Do you most important work early, before your willpower is drawn down. Then you need enough willpower the rest of the day to support or avoid sabotaging what you’ve done. - We should not be seeking for life balance. Purpose, meaning, significance—these are what make a successful life. - Out of balance = Some priorities are being underserved. When you focus on the truly important, something will always be underserved. No matter how hard you try, there will always be things left undone at the end of your day, week, month, year, and life. Trying to get them all done is folly. Leaving some things undone is a necessary tradeoff for extraordinary results. - Idea: You're juggling 5 balls called work, family, health, friends, and integrity. You’re keeping all of them in the air. Work is a rubber ball, if you drop it, it will bounce back. The other 4 balls are made of glass. If you drop one of these, they will be shattered. - The more productive people are, the more purpose and priority are pushing and driving them. - All businesspeople want productivity and profit, but too many fail to realize that the best path to attaining them is through purpose-driven priority. - Live with purpose and you know where you want to go. Live by priority and you’ll know what to do to get there. - Financially wealthy people are those who have enough money coming in without having to work to finance their purpose in life. Without purpose, you’ll never know when you have enough money. - When you have a definite purpose for your life, clarity comes faster, which leads to more conviction in your direction, which usually leads to faster decisions. When you make faster decisions, you’ll often be the one who makes the first decisions and winds up with the best choices. And when you have the best choices, you have the opportunity for the best experiences. - Half of knowing what you want is knowing what you must give up before you get it. - No one succeeds alone. No one is self made. - Written goals are 39% more likely to succeed. Written goals + sending progress reports to friends are 76% more likely to succeed. - Most important difference between amateurs and elite is that the future elite seek out teachers and coaches to engage in supervised training. - People lived before you. You’re not the first person to dream big, so you’d be wise to study what others have learned first, and then build your actions on the back of their lessons. - The people we see tend to set our standard for what’s appropriate. - Block time as early as you can. Give yourself 30-60 mins to take care of morning priorities, then move to your ONE Thing. For minimum 4 hours. - If you can have a productive day until noon, the rest of the day falls into place. That’s positive energy creating positive momentum. - Maker time, requires large blocks half-day increments to write code, develop ideas, generate leads, recruit people, produce products, or execute on projects and plans. - Manager time, gets divided into hours. Has one moving from meeting to meeting creating a conflict with those who need maker time. - Goal Setting to the Now: Set a future goal and then methodically drill down to what you should be doing right now. - Train your mind how to think, how to connect one goal with the next over time until you know the most important thing you must do right NOW. - People who visualize the process perform better across than those who simply visualize the outcome. - Ask big & specific questions to yourself. Then you will figure out the right answer. - Quality of any answer is directly determined by the quality of the question. Ask the most powerful question possible, and the answer can be life altering. - Stretch what you believe is possible and look outside the standard toolbox of solutions. - Resting is as important as working. 1. Meditate and pray for spiritual energy. 3. Hug, kiss, and laugh with loved ones for emotional energy. 5. Time block your ONE Thing for business energy. Gary Keller and Jay Papasan have hit a home run for me. I have read enough books on success and growth to know that in order to make a book stand out and be read there may need to be a premise or principle so different to entice a read to pick it up an finish it. Their's is the number "One." While I have read many books on goal setting and picking priorities, this one some how stood out as I flipped through the chapters and saw the section "The Lies: They Mislead And Derail Us." Why that struck m Gary Keller and Jay Papasan have hit a home run for me. I have read enough books on success and growth to know that in order to make a book stand out and be read there may need to be a premise or principle so different to entice a read to pick it up an finish it. Their's is the number "One." While I have read many books on goal setting and picking priorities, this one some how stood out as I flipped through the chapters and saw the section "The Lies: They Mislead And Derail Us." Why that struck me I am still not sure but as I flipped through the section I was intrigued by the 'Lies' that were included. One of the six that stood out the most was the "Multitasking" lie. Before reading I felt that I was able to multitask fairly well, though I always hoped to improve. I have since changed my mind. In the world that we live of of racing technology of, the "Multitasking" lie screams at us all the time. With smart phones and tablets, we are ever tempted to stay constantly connected to everyone all the time. While they have certainly allowed us to shrink both time and space by an omnipresent connection, I can't help but wonder if without more effort on our part they won't be the bane of our lives. A connection to everyone is really a connection to no one. I have also, since reading that section, quit kidding my wife about her not being able to "multitask" very well. All the while I was not doing well myself. Whom was I kidding? As with so many books, some of what was cited and written I have read elsewhere, but I think the major take away for me was their 'Focusing Question' which is, "What's the one thing I can do such that by doing it everything else will be easier or unnecessary?" I love the refined focus this helps us have when we frame any area of our life with this query. It may be big or it may be small but the focus helps us also be true to what we say are our priorities. So, there are good ideas in the book: the power of purpose, of setting clear multi-level goals, of grit, of avoiding multitasking is well-known and confirmed by research. On the other hand, the book is full of crap. First, the basic premise "the one thing" is nonsense - as a human, you definitely do more than one thing in many areas of your life - and so the author stretches the definition of "the one" in an extremely ridiculous fashion - maybe it's "one for today" or "one in a certain aspect of So, there are good ideas in the book: the power of purpose, of setting clear multi-level goals, of grit, of avoiding multitasking is well-known and confirmed by research. On the other hand, the book is full of crap. First, the basic premise "the one thing" is nonsense - as a human, you definitely do more than one thing in many areas of your life - and so the author stretches the definition of "the one" in an extremely ridiculous fashion - maybe it's "one for today" or "one in a certain aspect of your life" or just use the word "the one" fifteen times in a list, it's still "the one", right? Also, author has very narrow perspective on life. He's about taking care of his family and making sales of his coaching, and the whole book is built from that point of view. Nothing wrong with that, but: it's hard to relate to that book if your lifestyle or career are different. And, finally, there's fake pencil underlinings in the book. Seriously? It's like canned laughter in sitcoms. Spare me the cheap manipulation, please. That was the last straw that decided it between 2 stars and 3. An Ernst & Young Entrepreneur of the Year and finalist for Inc. Magazine’s Entrepreneur of the Year, Gary is recognized as one of the most influential leaders in the real estate industry. He has also helped many small business owners and entrepreneurs find success through his bestselling books The Millionaire Real Estate Agent, The Millionaire Real Estate Investor, and SHIFT: How Top Real Estate Agents Tackle Tough Times. A book, after all, is just another way to teach, but one with an infinitely large classroom. As a business coach and national trainer, Gary has helped countless others realize extraordinary results by focusing on their ONE Thing. Passion for something leads to disproportionate time practicing or working at it. That time spent eventually translates to skill, and when skill improves, results improve. Better results generally lead to more enjoyment, and more passion and more time is invested. It can be a virtuous cycle all the way to extraordinary results. The ONE Thing shows up time and again in the lives of the successful because it’s a fundamental truth. More than anything else, expertise tracks with hours invested. The pursuit of mastery bears gifts. When people look back on their lives, it is the things they have not done that generate the greatest regret...People’s actions may be troublesome initially; it is their inactions that plague them most with long-term feelings of regret.